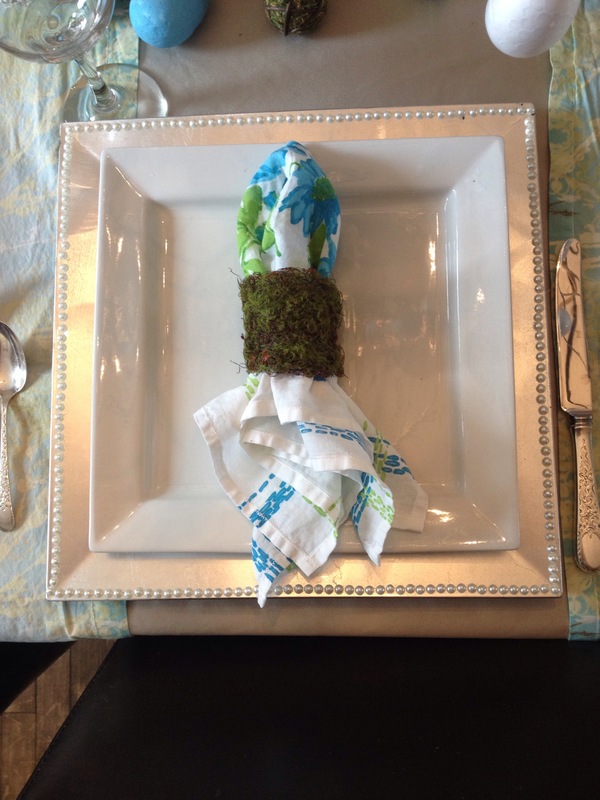 For this years Easter Dinner Table, I wanted to do something special and add some natural elements. 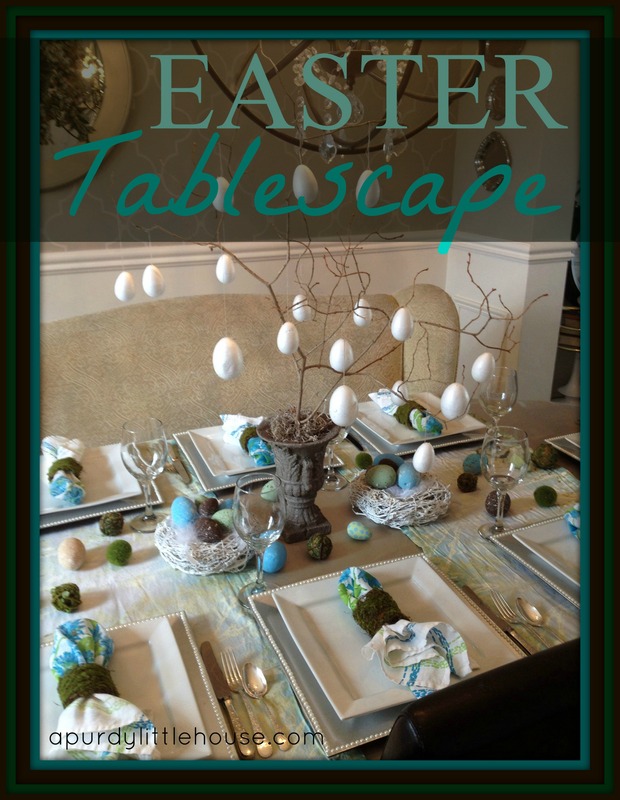 I love the end result, and how the natural twigs and moss paired with the bright blue and green eggs creates an interesting contrast. Using items I already had on hand, I was able to pull this table together for $0.00. My favourite item is definetely the egg tree. Eggs grow on trees, right? Here is a close up of one of my nests, which are actually christmas wreaths. 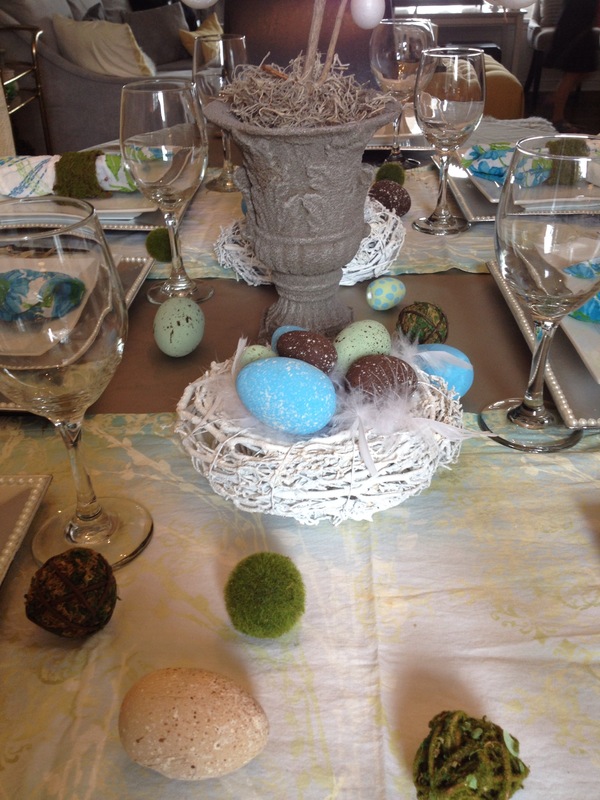 I added a piece of white feather boa to the centre and placed eggs on top to make these into Easter nests. I love to use non traditional colours in my holiday schemes. So, instead of using a lot of soft pastels, like yellow and pink, I went with blues, greens, and a bit of brown. This colour scheme was inspired by the colours in the table runners, which I purchased years ago from a clearance bin at Fabricland. 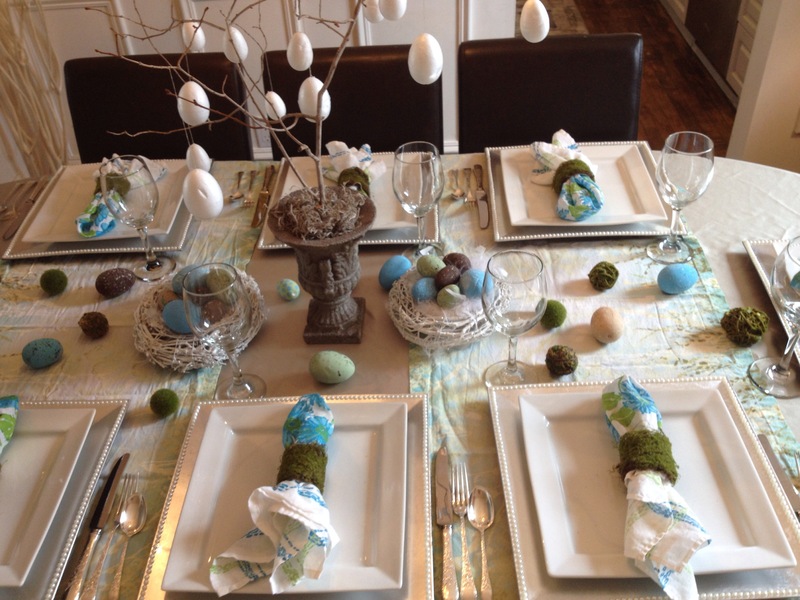 I scattered some eggs and moss covered balls all over the table to tie it all together. 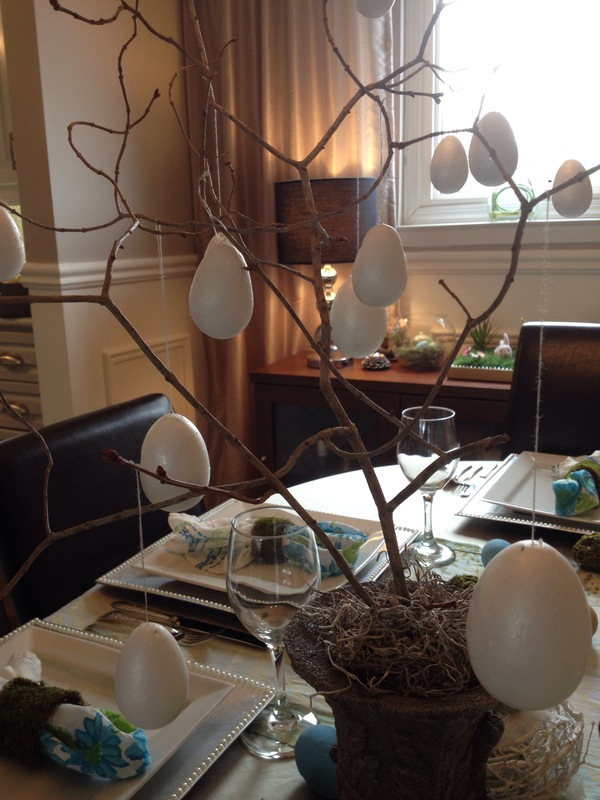 Here is a close up of my Easter Egg tree, which I’ll also go over a step by step in tomorrow’s post. 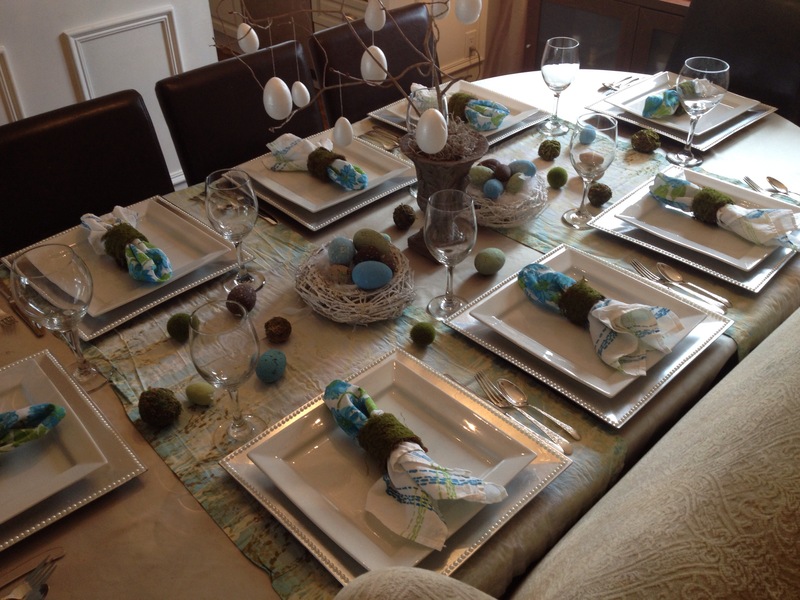 This Easter, gathering with family to share a meal and lots of laughs was the best part for me. 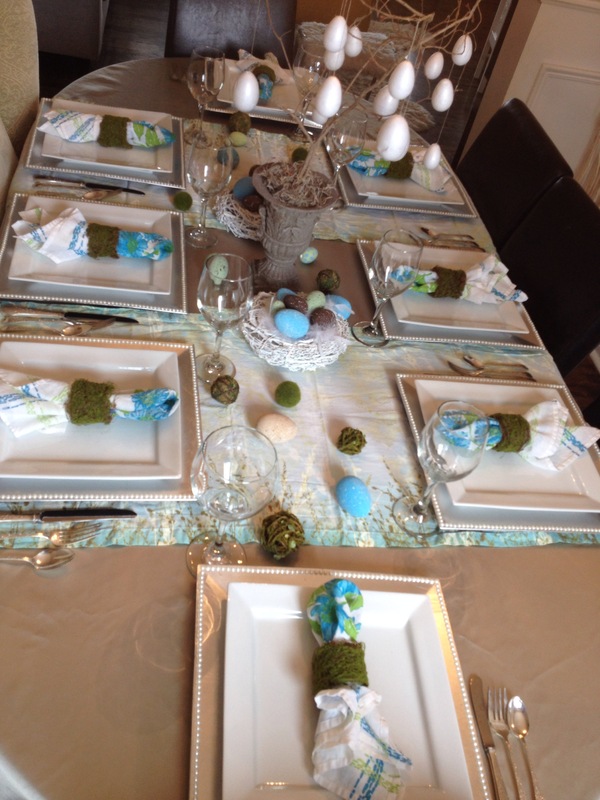 I feel truly blessed to have such amazing in laws and loved ones in my life, and I’m more than happy to create a cool and fun table to bring everyone around. Happy Easter Everyone!!!!!!!! If you enjoyed this post, please share on Facebook, Twitter, Pinterest, etc. 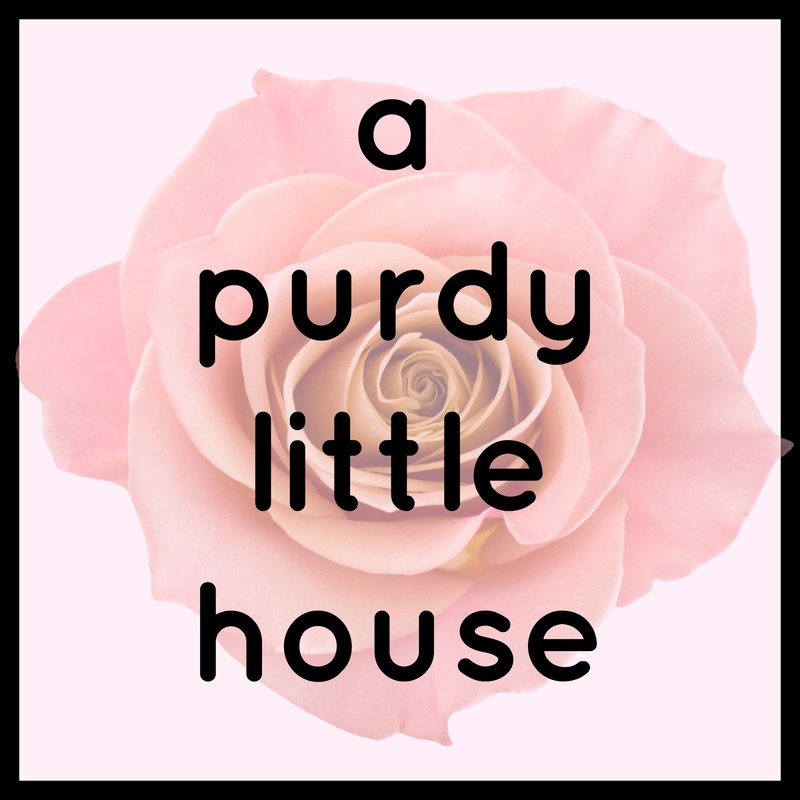 You can also follow along by liking my Facebook page, following me on Pinterest, or subscribing to my blog through email. You’ll receive an email notfication whenever a new post is published.